Virgin America loves giving away free points and there is yet another offer for 500 free Elevate points if you signup for another email list – this time it is for the “Virgin Produced” Newsletter. It literally took 20 seconds to fill out the form with my name, email and Elevate number. This is a great way to extend the life of your existing miles if you signup by October 26th. If you took advantage of the last two 500 free mile offers, then you would be halfway to a free Hawaiian inter-island flight all for signing up for a few emails. As always, use a throwaway email if you don’t actually want to read these newsletters. 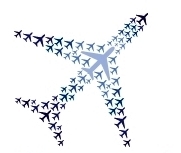 Over the past week or so, several offers for free miles and elite status have popped up so I would thought it would be helpful to have a single post consolidating all the offers. Here are the current offers I am aware of (please share any others I might have missed). 1. 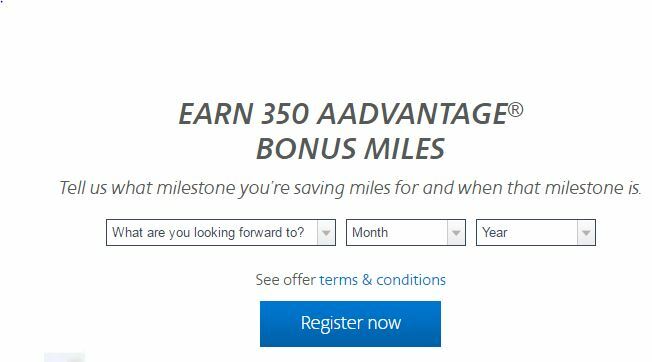 700 Free American Airlines AAdvantage Miles – AA is celebrating the 35th anniversary of the AAdvantage frequent flyer program so they are offering everyone 350 miles for entering a sweepstakes for a chance to win 350,000 AA miles. Then you can earn another 350 miles for sharing a milestone trip of yours via social media or email. 2. 1,000 Free TAP Portugal Victoria Miles – Thanks to Frequent Flyer Bonuses for finding this as you can earn 1,000 free miles for joining TAP Portugal’s frequent flyer program. To be honest, I don’t know much about this program but it wasn’t much work to signup for an account just in case. 1. Free Instant Hilton Gold Status – If you are reading this blog or any other miles/points blog, you probably have Hilton Gold status by now but if you don’t you can register here and Hilton will give you instant Gold status until 8/31. Hilton Gold status is quite valuable for the free breakfast, free premium wifi and chance for upgrades at checkin. Technically this offer is for Accenture employees but Hilton doesn’t appear to verifying this in anyway. If I didn’t already have Hilton Diamond status, I would have no qualms about taking advantage of this offer. 2. 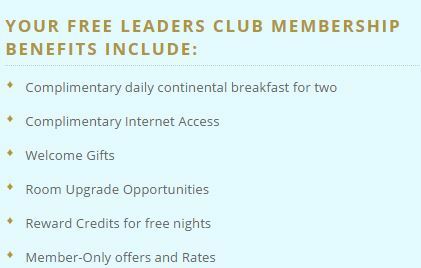 Free Leading Hotels of the World Elite Status – This is a very small chain of hotels (about 400 worldwide) but includes some recognizable hotels like the Biltmore and they are offering free “Leaders Club” status for filing out a form and returning it to them. Follow the instructions and download the form here but the status is actually pretty decent if you find yourself at one of these hotels, including complimentary breakfast and wifi. 3. Free Small Luxury Hotels of the World Elite Status – Another small hotel chain (about 520 hotels worldwide) that is giving away elite status, in this case “Loved” status which gets you free breakfast and a complimenaty upgrade on your first stay. This literally took 30 seconds to fill out via this link. As always, when it comes to free miles/points & free elite status that requires < 2-3 minutes of work, I highly recommend taking of these offers. You never know when those extra few miles or elite status might come in handy. American Airlines is giving away 1,000 free miles for answering a few questions about the AAdvantage program. 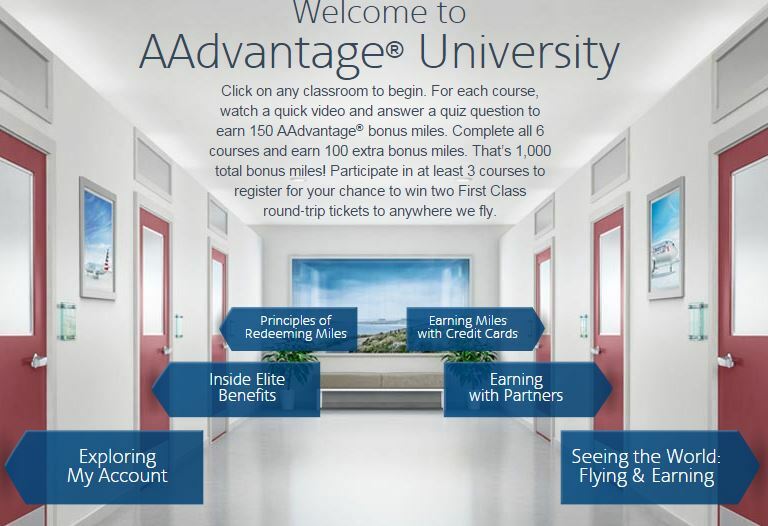 It is an easy test of sorts to see how much you know about the American Airlines AAdvantage program but there are helpful videos to watch before you get the question for each of the different topics. Additionally, you can register for a grand prize of two first class tickets to anywhere American flies. You don’t have to watch the videos (feel free to skip to the end to get the questions) as I’m nice enough to include the answers below. After completing all the questions, I got a notice saying miles will be posted in 6 to 8 weeks. Considering this took me all of 2 minutes, I highly recommend everyone register and answer the questions to get 1,000 free AA miles. It’s been a while since I posted one of these roundups so let’s get to it. Here is a very quick rundown of some items from last week. 1) 250 Free Virgin Atlantic Miles – If you agree to install their shopping portal toolbar “Shops Away”, Virgin will award you 250 miles for doing so. To get this offer, click this link for Shops Away and then click shop today. After logging in and hitting shop now, click Mile Finder up top to see this offer. I would install this in a browser I normally don’t use such as Internet Explorer. 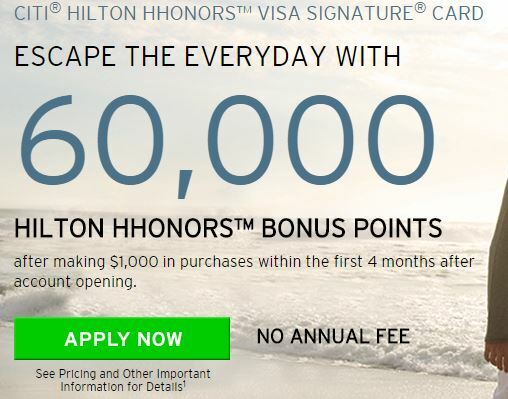 3) Citibank 60,000 Hilton HHonors Points Visa – Citibank has temporarily increased the offer on this no annual fee Hilton HHonors credit card from 40,000 to 60,000 for spending $1,000 in 4 months. This card will not be useful for many of you except for those trying to top off their Hilton HHonors balance. I picked up this card last year when it was 60,000 points as I was out of Hilton cards to get. 4) Discounted United Awards to Brazil & Chile – United has had several discounted award sales this past year and the latest is a 25% discount on award flights to either Brazil or Chile for travel through June 25th. All travel must be booked by April 25th and it must be roundtrip to get the promotion rate. Instead of an award flight costing 60,000 miles, it is now only 45,000 miles roundtrip. Click here for more details from United.